The Vixen Geoma II 82mm Spotting Scope is a field scope that features an advanced and improved optical design. It allows you to achieve the clearest views possible, and lets you enjoy all the wonders of nature. 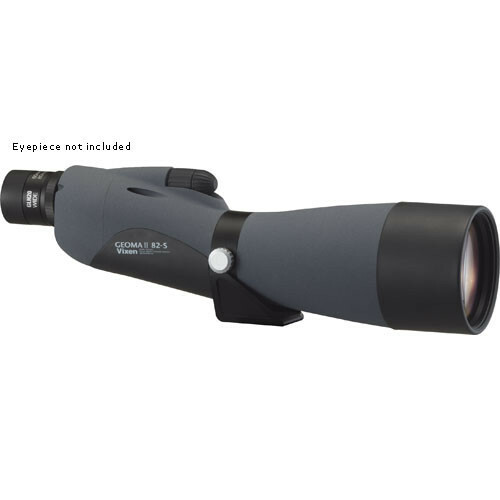 The scope uses a lightweight fiberglass tube with a duller finish, which is more ideal for birders. 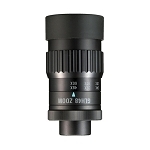 Geoma II series field scopes feature a larger aperture, fully multi-coated optics, waterproof construction, dual focus system, rotary-type body, a sighting hole on the body, and a wide variety of optional eyepieces and accessories for photography.